Throughout my career in financial planning I've always been struck by the lack of planning when it comes to passing money on to children and the next generation. There is a false assumption that it is something to worry about when you are 'old'. But what does 'old' mean? We are quick to complain about a 1% increase on income tax but surprisingly don't seem bothered about the fact that the tax man could take up to 40% of our estate when we die. That is money that could be passed on to your family or organisations you would like to support. HMRC collect over £3billion in inheritance tax a year yet it is largely avoidable with some very simple bits of planning that anyone can do. Everyone should be aware of their potential inheritance liability, in the event of their death, but especially those aged over 55 because they have more flexibility when it comes to avoiding inheritance tax. So how do you calculate how much inheritance tax you could end up paying? How could you personally reduce your potential IHT bill? 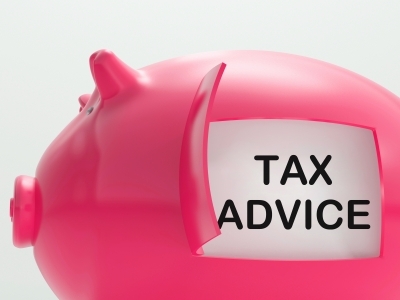 Or what are the best ways to avoid paying inheritance tax? Below I show you how to work out the answers to these questions in minutes and what you need to be doing today about inheritance tax. Everyone is entitled to a nil rate band (currently £325,000) which is the value of the assets that can be passed on without inheritance tax being applied. Have you inherited someone else's nil rate band as well (i.e this will occur if you have a deceased spouse)? How much are your other assets worth, including investments? Do you plan to give a significant sum of money away to charity when you die? If so how much? Details of gifts (cash and assets) that you've made within in the last 7 years. Here is a our FREE inheritance tax calculator which can be quickly used to work out what your potential inheritance tax bill will by using the information from step 1 above. This is the most important part of the entire exercise. 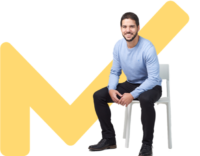 By completing steps 1 and 2 you now have a handle on your potential tax liability. Now it is all about maximising the amount of money you can pass on. Or in other words how to avoid paying inheritance tax legally and fairly. So I suggest that you download this excellent FREE guide to IHT including the steps to cut your IHT bill. This is by far the best guide I've seen on inheritance tax advice and downloaded. Once you've downloaded it skip to page 8 to see a full list of the exemptions you can claim to reduce your IHT bill. When you've read through them have a look at page 12 which outlines the simple ways trusts can be used to eliminate inheritance tax whilst page 4 details how you can pass on your home free of IHT. This entire exercise should have taken you no more than a few minutes to complete and should put the wheels in motion to saving thousands of pounds in inheritance tax and passing on more of your estate to your next of kin.